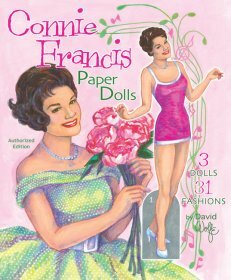 Ava Gardner, sultry star and unique beauty, is the newest vintage-style paper doll by David Wolfe! 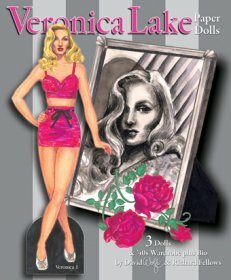 A seductive portrait and a trio of Ava dolls grace the covers, designed to emulate the lush style of paper doll books of the 1950s. The carefully researched and beautifully rendered costume pages include such hits as Show Boat, Mogambo, The Barefoot Contessa, One Touch of Venus and many more. 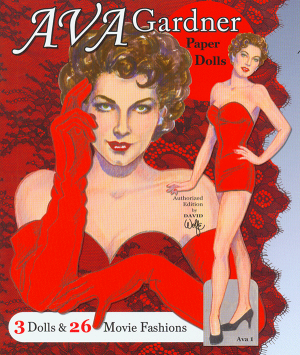 The fashions in the book chart Ava Gardner's long career from her first film in 1941 through the following decades. They include both contemporary styles and period pieces. 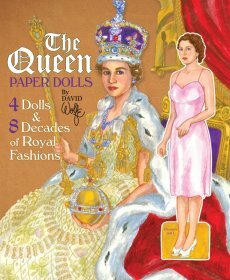 This new star vehicle paper doll is a must for movie fans and collectors of David Wolfe's inimitable artistic flair.